With a visual gesture to orientation devices such as the gyroscope and the compass, this sculpture hangs above visitors’ heads, simultaneously piercing and embracing the space around it in shape, reflectivity, and materiality. 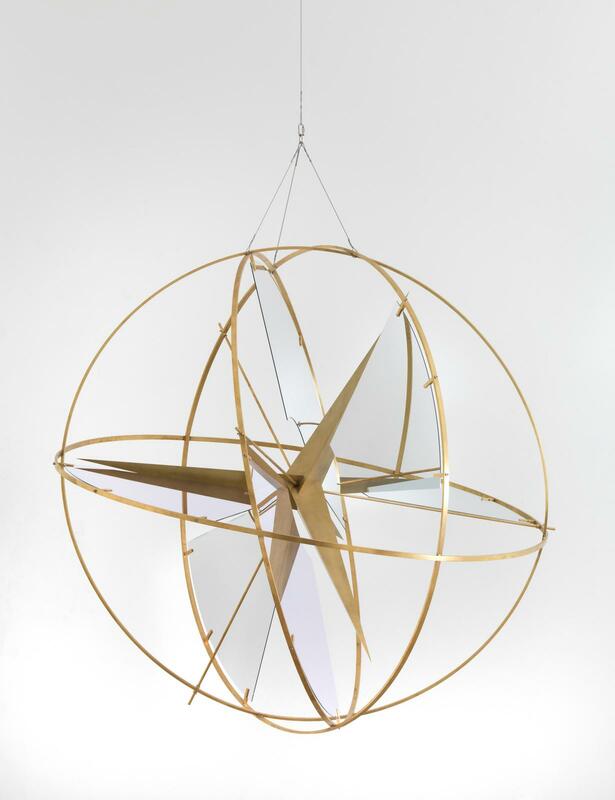 Four elongated brass triangular prisms – linked together by mirror quarter sections – extend outwards from the artwork’s centre to create a star-like form. Circumscribing this star are three brass hoops, each one oriented to a separate plane. The work marks a continuation of the artist’s aesthetic interests in instruments of navigation, tools that imply movement and aid our spatially-bound existence.